Because college touring doesn't have to be boring. As a rising senior, I have been finishing up my final college tours and one of my last trips was to the Midwest and South. This past week, I went to St. Louis, Missouri to visit Washington University in St. Louis. Growing up in New York City, I have been attracted to colleges that have access to cities and WashU did not disappoint. On the tour, the guide gives you a free guest meal card with 8 dollars on it so you can try out some of the dining halls. And WashU is known for some of the best college dining hall food in the country. St. Louis is filled with a variety of cuisines scattered throughout their different neighborhoods including Italian, Thai, Ethiopian, Mexican, and more. There’s an area called The Loop that is a street filled with 90% restaurants and it is only a 10-minute walk from the WashU campus. They have an amazing international market that I recommend checking out called United Provisions. I found (and obviously bought) my favorite peanut chip puffs that I’ve only been able to buy in Germany. The Loop was definitely my favorite part of St. Louis and where I found the best eats. If you want to eat your way through the campus, we’ve got you covered. This cute little coffee shop is the perfect place to sit down, escape, and do some work. The decor is very clean and simple with a homey vibe, with records and a record player on one of the shelves and wooden tables and counters scattered throughout. As a prospective college student, I love knowing that I could potentially have this coffee shop close by. 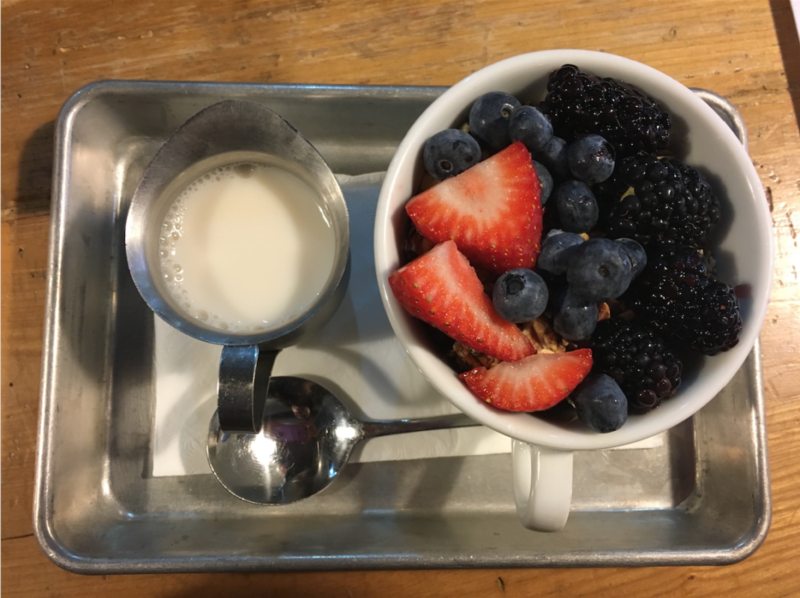 I went here for breakfast and ordered a homemade granola bowl made with sunflower seeds, chia seeds, oats, and pecans that was topped with fresh mixed berries and almond milk. They also had delicious bakery options including fresh baked breads with different butters and jams. The multigrain bread toasted with blue rosemary jam was heavenly. After 10 pm, you can get tacos for two bucks a pop. But even before 10 pm, Mission Taco is still a very reasonably priced Mexican restaurant that does not lack in quality. With bright blue picnic tables outside and an abundance of indoor seating, it’s the perfect place to go at any time of day and still be able to find a seat. 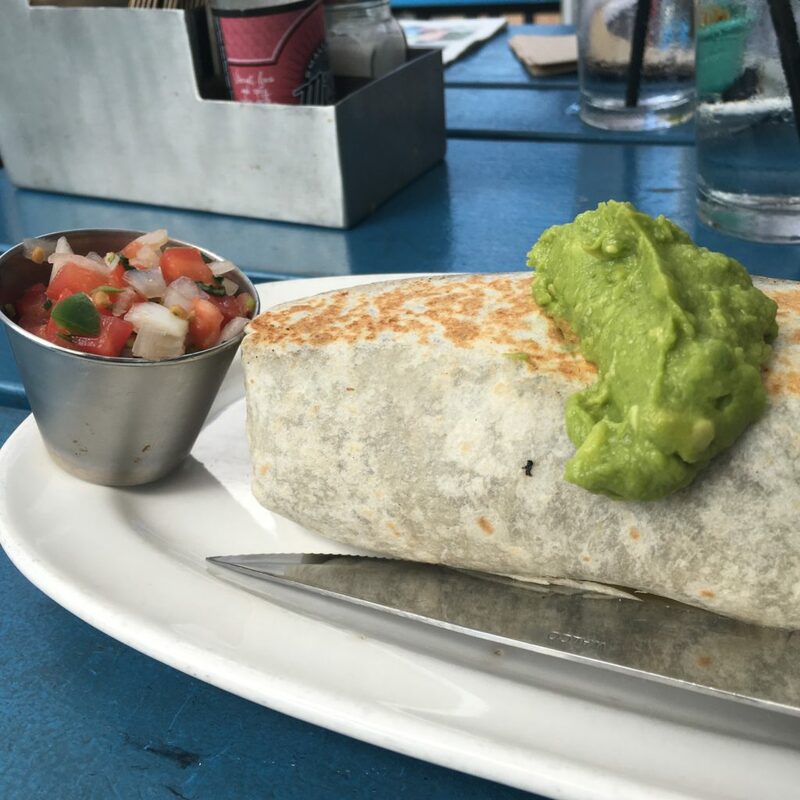 I went for lunch and ordered a California chicken burrito. I’m a huge chicken burrito fan and I never stray from the normal works, but this one was so unique because of the chipotle aioli sauce that they used. It makes me never want to just have sour cream in my burrito again. The rest of the menu looked delicious as well, especially the carne asade fries. All of the options were budget-friendly and the bright atmosphere made it the perfect lunch stop. First off, I absolutely loved the little outdoor patio they had in front of the restaurant. The weather was perfect and it was still light out (perfect for taking pictures of food), making dinner even more enjoyable. I don’t eat pizza often, but when I do, I make sure that it is worth it, and Tavolo’s pizza was exactly that. The crust of the pizza was thin and loaded with tomato sauce while still being perfectly crisp and golden brown. I truly want to know how they did it without the crust getting soggy. 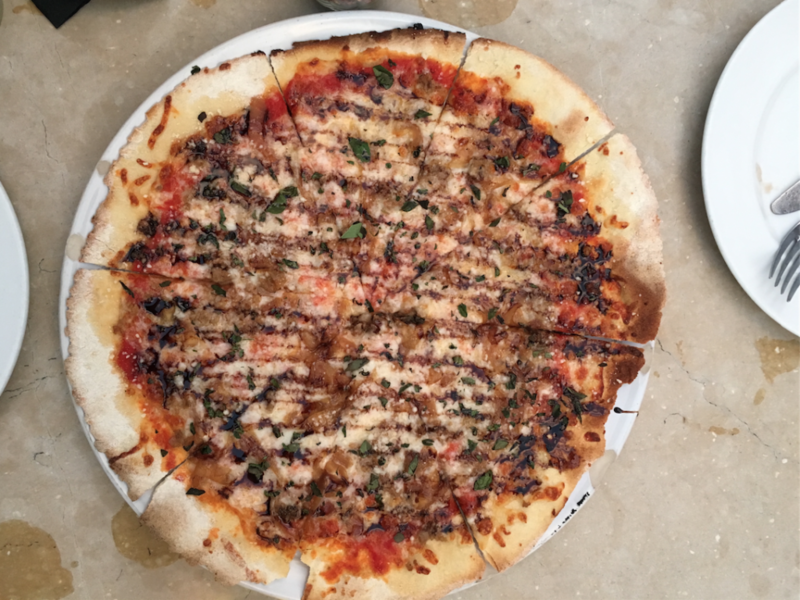 The pizza that I ordered was topped with tomato sauce, sausage and caramelized onions and drizzled with balsamic vinaigrette. It was the perfect balance of sweet and savory. Plus, the whole pie (which is enough for two people) was only 14 dollars. Tavolo is the perfect place for a nice dinner for a very reasonable price. Thinking about all of this food again is making me want to hop on the next flight back to St. Louis just to return to all of these restaurants. These are only three of the many restaurants in St. Louis and I am positive that I would not be disappointed with the other places they have to offer. The beautiful Washington University campus combined with the amazing cuisine both on and off campus plus, the vibe of everyone at the school made this an amazing college visit.